"As I contemplate the figure and the pose, the material and the model, I do it with eyes wide open, focused to bring out the beauty that is hidden within. 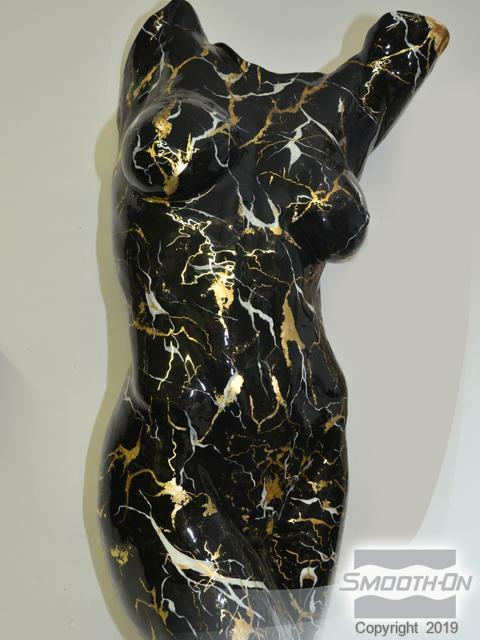 As an artist and sculptor, I use lines, shapes and material to reveal the poetry of the human form." Mr. Williams has used the FORTON MG casting system for many years to create a variety of castings and casting effects. Forton MG dry components are pre-blended including a blue powder aggregate. A power mixer is used to thoroughly mix all Forton MG components in mixing container. A face coat of FORTON MG with blue aggregate is brushed into mold cavity. An even coating is applied. A second batch of FORTON MG is mixed (without blue aggregate) and brushed over initial face coat. Second coating is applied evenly throughout the mold cavity. 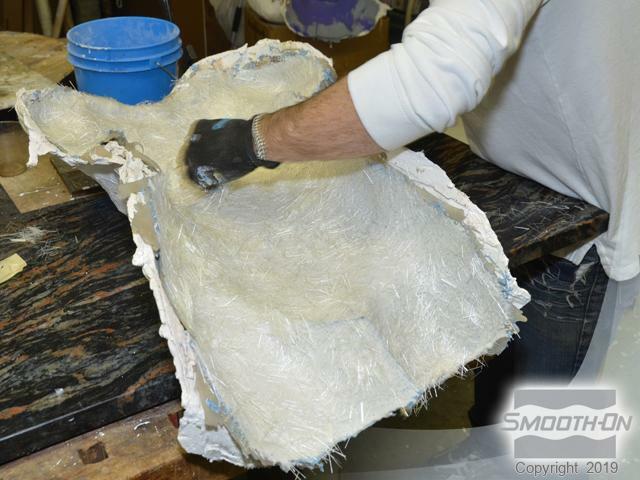 “E” glass fiber is uniformly applied over the second layer of the FORTON MG. The glass fiber provides lightweight reinforcement and makes the casting very strong. 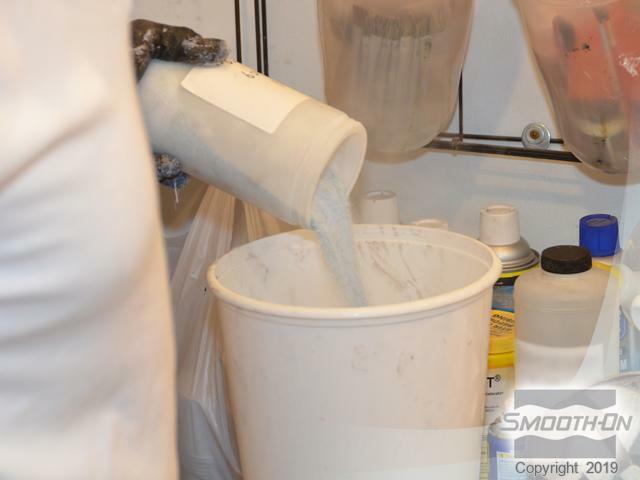 A third batch of FORTON MG is mixed and brushed over the glass fiber to smooth the surface and make the finished casting easier to handle. 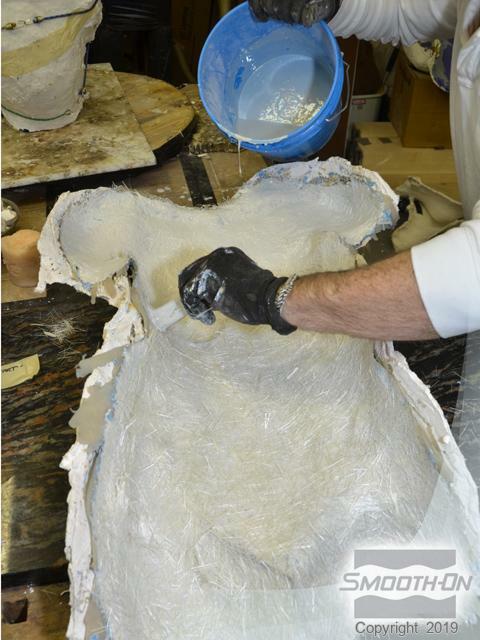 After all layers are cured the rubber mold is peeled away from the cured FMG casting. 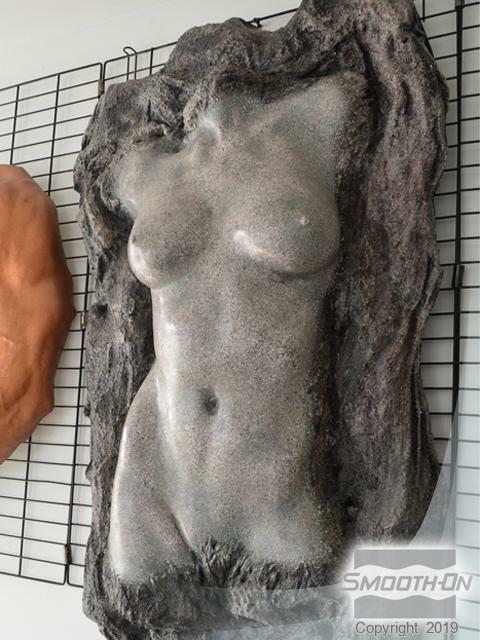 Casting is demolded from rubber mold. Newly demolded Forton MG Casting reflects all detail captured by the mold. 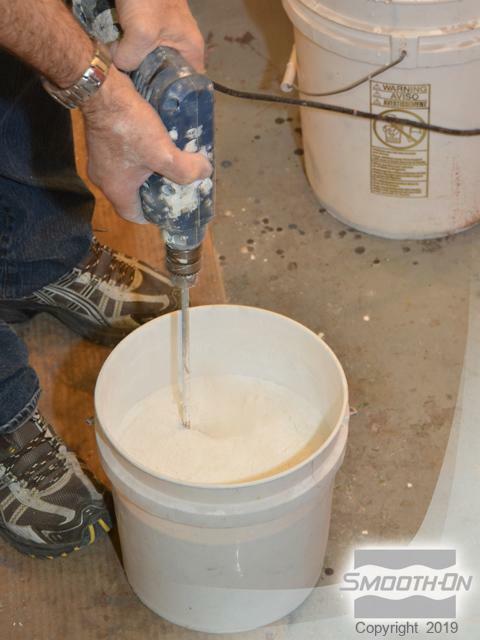 Polishing – a polishing tool will help bring out the finish of the aggregate. The polished casting is ready for additional post finishing. Finished work made out of Forton MG. The sculpture is durable and lightweight. Using fillers and color, a variety of finishes are possible using the FORTON MG system.